Enjoy luxurious warmth with Amana Brand quality! Americans have been relying on long-lasting Amana brand products since 1934, when Amana, Iowa native, George Foerstner accepted the challenge of building a dependable beverage cooler. 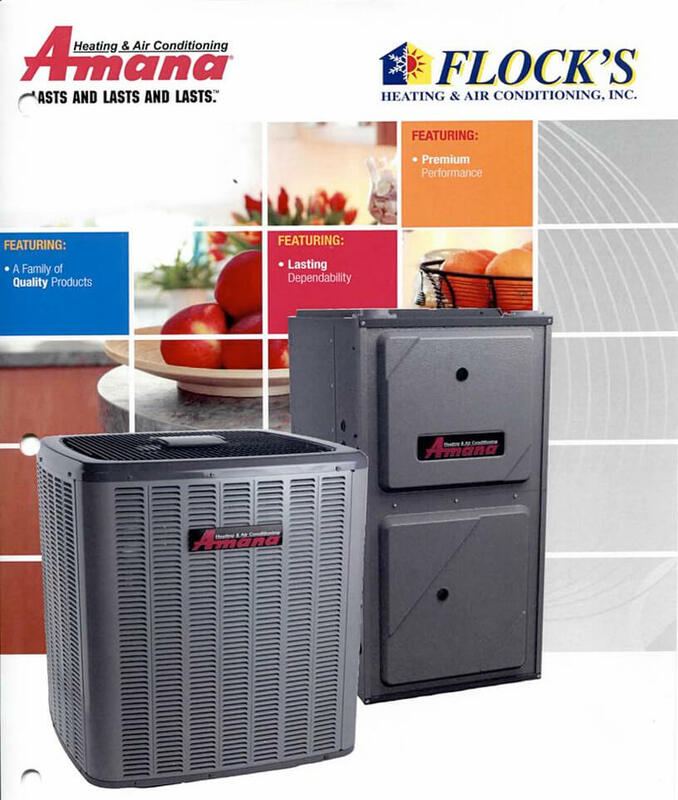 Since then, the Amana brand has enjoyed many firsts, including developing the first cold storage locker, being the first manufacturer to nationally market an upright freezer for home use, and introducing the first portable counter-top microwave oven. 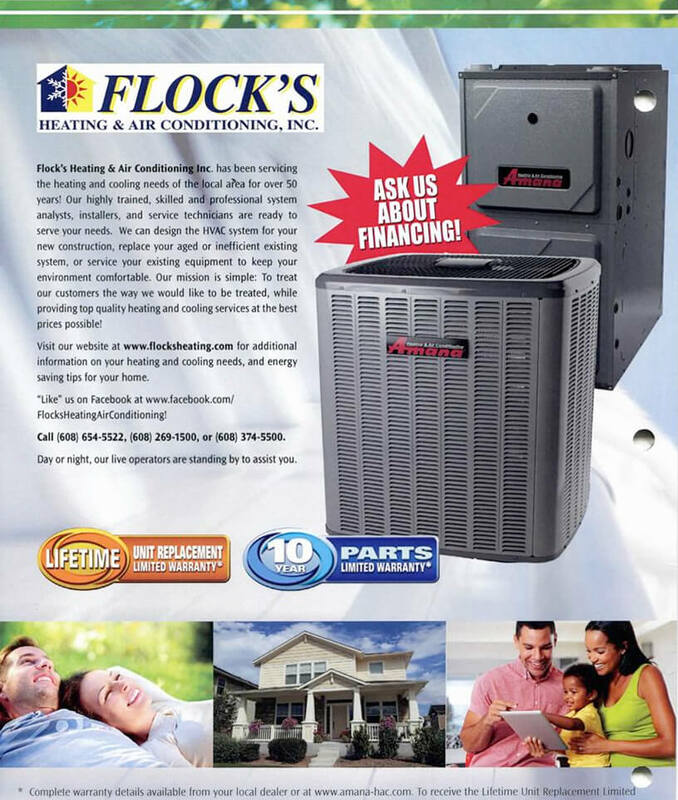 The residents of Amana, Iowa, began a long history of pioneering and craftsmanship, and that spirit continues today in the manufacturing of quality Amana heating and air conditioning products. 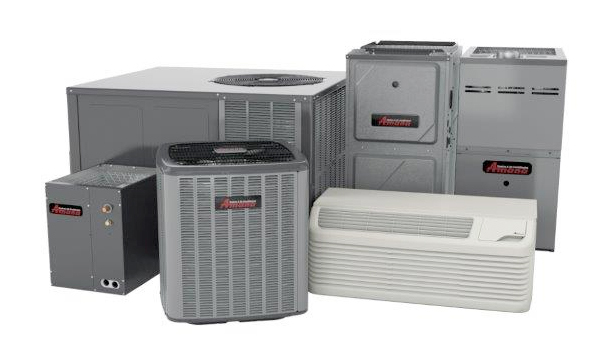 From the technology behind the Million-Air heat exchanger, to the inclusion of high-quality filter dryers in each air conditioner and heat pump, Amana remains committed to the Amana brand’s legacy of providing consumers with heating and cooling products that are built to last. 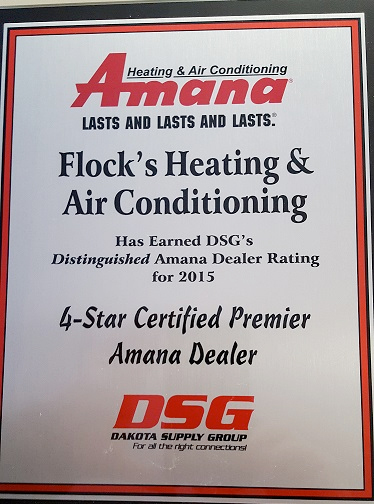 Flock’s Heating & Air Conditioning, Inc. was recently among a select few to receive a 5 star rating for Amana sales! 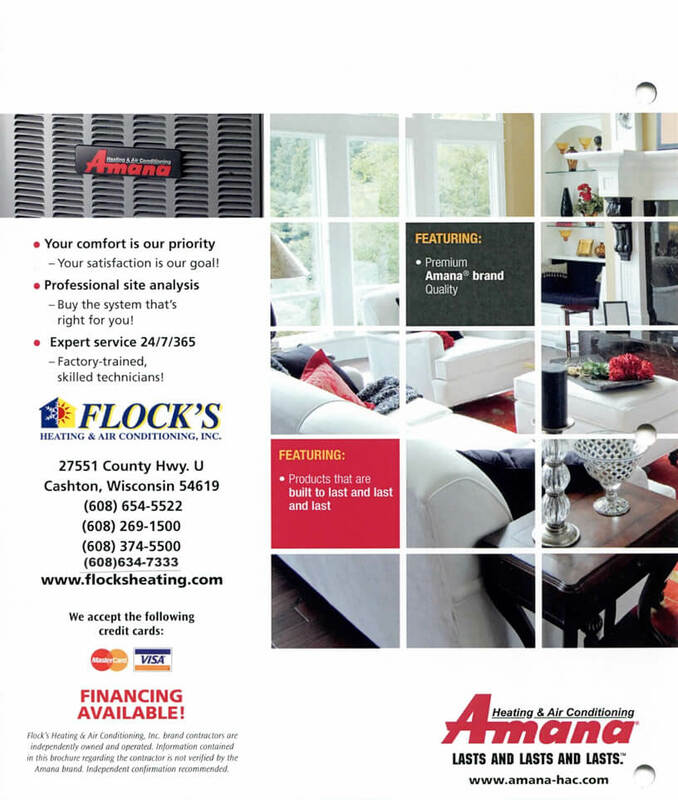 Check out our latest Amana Products Brochure! 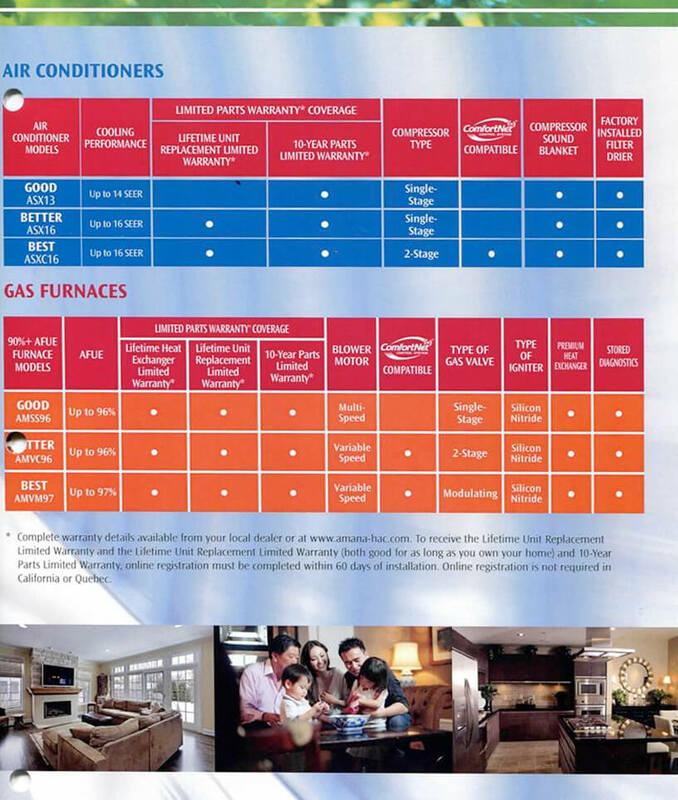 Here is a link to the U.S. Department of Energy with information on heating your home.